One of the first writing websites I started hanging around on when I initially started trying to get published was the Permuted Press message board. The reason I was there was because I had read an amazing book (you can read my review here) and had immediately went on a frantic search to find out more about the author–and when the next book would be out! It’s hard to believe it has been over five years–disturbing in fact–but, since then, Peter Clines has gone from strength to strength, not only continuing with the “Ex” series, but bringing out other wonderful works. As he celebrates the latest instalment in the “Ex” series, Peter joined me on Galactic Chat. Yes, I gush, and yes, I had a LOT of fun doing this one. I hope that you enjoy listening to the result! After a holiday break, Galactic Chat returns! David McDonald interviews author Peter Clines on the eve of the release of his new book, Ex-Isle. In a wide ranging interview, they cover topics from the”Ex” series to Peter’s Hollywood career, and discuss the nature of heroism and the power of storytelling. Join them as they fanboy over Classic Doctor Who and Supergirl, and listen in amazement as David tempts Peter into joining him on his soapbox about “Man of Steel”. NB: Sadly, technical issues mean that David’s first few questions are a bit distorted (though intelligible), but please bear with it as Peter is crystal clear and Skype reins in its anger in time to let you hear David gush. As Sean is on sabbatical, this is David’s first attempt at creating a podcast so all issues are his fault, and should not reflect on the podcast as a whole! This entry was posted in Podcasts, Writing and tagged Ex-Heroes, Galactic Chat, interviews, Peter Clines, podcasts on February 9, 2016 by David. Very exciting to see Ex-Heroes featured over at Whatever on the latest Big Idea! If you have had a conversation with me about great zombie books, or sat in on any panel that I have been on about the subject, then you would have heard me spruiking this book (and here is my review). I don’t want to gloat too much, but it is rather validating when you discover a book from a small press and tell everyone how awesome it is, and then it gets acquired by an even bigger publisher. Incidentally, it was this book that led me to the wonderful Permuted Press, one of the best small presses going around, especially if the apocalyptic is your cup of tea. And, Peter has featured here as a Wednesday Writer. If you haven’t read this book, go read it. It’s one of my favourite Zombie books, one of my favourite super hero books and definitely my favourite superheroes vs zombie book! This entry was posted in Geek, Writing and tagged Ex-Heroes, Peter Clines on March 1, 2013 by David. I have a tendency go on reading jags, where I will read everything I can get my hands on by a certain author, or set in a certain universe, or part of a particular genre niche. So, after reading World World Z I went through a stage of reading every zombie novel that I could get my hands on. I trawled through Amazon’s catalogue, whether it was traditional or self publishing, and purchased book after book. As you can imagine, while I found a few gems, I also came across some…not so great stuff. So, I was a bit jaded when I came across a book that was essentially summed up as “zombies vs super heroes”. I decided to give it a go, certain it couldn’t be as cool as the concept sounded. I was right, it was far better than I imagined! You can read my review of Ex Heroes here, and it is still one of my favourite books of all time. Wanting more, I looked up Peter Clines and found my way to the Permuted Press message boards, which not only led to me to more of Peter’s work, but one of the best small presses out there – one that has given me a lot of opportunities as writer that I wouldn’t have otherwise had. Between that, and his most excellent blog on writing, Peter has had a huge impact on my writing, and continues to produce great book after great book. So, as you can imagine, it is very exciting for me to welcome Peter to Ebon Shores, and I have no doubt you will all get a lot out of his post. I saw a piece of trivia on one website a while back that said the average novel takes just under five hundred hours to write. It wasn’t explained how this number was reached. It also didn’t explain what they defined as “to write.” Was that just under five hundred hours to finish the first draft or to create a polished manuscript? So, really, this number was kind of meaningless. But it was on the internet, which I suppose immediately makes it as valid and worthwhile as this piece you’re settling down to read right now. Any number like this that doesn’t tell you the whole story is artificial and kind of useless. I can tell you it takes me ten minutes to make dinner, but that leaves a lot to question. Did I just boil pasta and heat up some tomato sauce? Did I prepare everything this morning so I only had a few steps left? Maybe I’ve just got a very old microwave that takes forever to heat a Hot Pocket. Most Olympians can run 100 meters in about ten seconds. Men tend to come in a hair under that, women just a fraction of a second higher. Usain Bolt just did it nine-point-six seconds, officially making him the fastest man on Earth. So we can say that it took Usain less than ten seconds to become a gold medalist. That’s not much of a time commitment at all, is it? One-sixth of a minute and I can be an Olympic record-setter? Probably because we all understand it actually takes a lot more than ten seconds, even for someone as fast as Usain Bolt. Usain ran in the Olympics this summer, yeah, but he started running back in the mid-nineties and began training while he was still in high school. It took him almost twenty years to make that ten second run. He was putting in hours and hours, day after day, long before any of us had ever heard of him. And now he’s reaping the benefits of those years. Some people think I just came out of nowhere. That I sat down one day, decided to write a novel, and boom. Ex-Heroes. Just like that. If you believe that number I mentioned to you at the top, I didn’t even spend three months working on it. The truth is, though, there was a lot more to Ex-Heroes than that. There were the action scenes acted out by my collection of Micronauts and Star Wars figures when I was a kid. There were the comic books I’d plot out and draw in fifth grade when I was supposed to be learning about integers or something (I don’t know what—I was busy making comics). There were the sci-fi and fantasy stories I wrote in junior high (all destroyed when our cellar flooded—thankfully), followed by some early horror stories in high school, plus numerous school writing assignments I bent and twisted to my own preferences. There was the werewolf novel in my first two years of college, followed by the urban fantasy novel (before there was such a term) in the second two years. And two different writing courses with two different instructors (one fantastic, one… not so much). Then there was the after-college novel that got delayed when I detoured into screenwriting for a few years and which I didn’t finish until 2001. All that led to a career as an entertainment journalist, churning out stories and reviews and interviews, often on a tight deadline for about six years. And then, boom, just like that… Ex-Heroes. Which actually took me about six months of rather intense work. So… still not under five hundred hours. A better number is one you may have heard from journalist Malcolm Gladwell in his 2008 book, Outliers. According to him, it takes 10,000 hours of practice to reach the point that most people would rightfully consider you an expert in your field. Not to achieve something in your field, mind you—this is just all the work you need in order to hit that point where you can achieve something. Yeah, now you have to start paying attention again. Sorry. The publishing industry has gone through several radical changes in the past five years. The rise of Amazon has really shaken up the way the market works. The loss of Borders and all its shelf space was a huge blow. And the explosion of the ebook market and self-publishing has shifted some of the perceptions of what a writer needs to be successful. This rapid shift of the marketplace and the rush of technology has changed our own expectations a bit. One way is that a lot of people who never would’ve had a chance to get their work in front of anyone else are getting that chance. This isn’t necessarily always a good thing, mind you. A lot of people may try to argue the point, but I’d be willing to bet good money the odds of actual success aren’t any better today than they were twenty years ago. The raw numbers may be higher, yes, but the actual percentages… not so much. For every ten or twenty literary geniuses who finally get to show off what they can do, there’s two or three thousand people rushing stuff to the market who should honestly be banned from touching a keyboard. In a roundabout way, that’s what I wanted to talk about. It may sound a bit self-obvious, but for writers these days there’s an undeniable push to get things out there as quickly as possible. We’ve all been conditioned to not wait on things. That push is spurred on by a lot of “how to” websites tossing up meaningless (or carefully spun) factoids and numbers as if they’re some sort of benchmark people can use to judge if their work is ready to go. A lot of folks follow this “advice.” Just check the Amazon listings and see how many authors are churning out a new book ever six or seven weeks (way, way less than five hundred hours of work). They don’t have time to do anything less. They’re modern writers, with an audience that demands results now. Right! Now! This is a real shame, because most of these stories end up feeling… well, rushed. I’ve seen some good stories that would’ve been great if the writer had just taken some time to really work on them. And I’ve seen stories that could’ve been passable which ended up just plain God-awful because the author didn’t want to spend any extra time working on them. Pretty much across the board, the most common mistake I see in manuscripts—and that I hear about from publishers, editors, script readers, contest managers—is spelling. Writers who couldn’t be bothered to learn how to spell the words they were using and find out what they mean. That’s a basic line-edit of their manuscript. But let’s be honest. Those ten thousand hours weren’t supposed to be spent on small stuff like that, right? That’s what the spell-checker is fort. And smell check said each wood was correct. Meow, sum of yew may bee giggling or filling a bite smog rite about now. After all, hear I am gong on abut bad spilling and halt of these wards are spelled wrong. Except, you seen, hey aren’t. Not won singlet thin is spilled wrong inn these too paragraphs. Which is why a spell-chick pogrom well sea nothing wrong and till me my manuscript is fine. Much like mine did before I sent this off to the editor here at Ebon Shores. And probably like his did, too. Yeah, you’re smiling, but I see this kind of stuff constantly. People who don’t know the difference between its and it’s, or between sheer and shear, or compliment and complement. And they didn’t want to spend the time to learn. Or even just to make sure they hadn’t made a mistake. If I had to offer a useful tidbit to an up-and-coming writer—just one single bit of advice I wish they’d listen to—it would be to take their time. Don’t rush. Don’t be in such a mad hurry to get your work out there that you put it out before it’s ready. If your story is going to find an audience, it’s going to find it just as well in another three weeks as it will today. Use that time to do another draft. Go through your manuscript line by line. Spell check it with your eyes and a dictionary, not a computer program. While you’re at it, give the dialogue one more polish. Maybe read it out loud. Better yet, give it to a friend who isn’t familiar with the material and ask him or her to read it out loud. And then make changes where necessary. Y’see, there’s a downside to this fast-paced, technologically-advanced future world we live in. It’s the first impression that you never get to make again. In the world of dating, you can just move on and try to hide the whole incident. In publishing, though… things on the internet are there forever. If I rush my story out and it gets a dozen bad reviews, those reviews never go away. Ever. Even if I update my story and fix some problems after the fact, those comments will be tied to my book for the rest of its history. They’re the fun-at-the-time pictures from Spring Break in Las Vegas that, unfortunately, did not stay in Las Vegas. Now, sure, I’m not talking to everyone. I’m betting a fair number of you put your work through a good, honest two or three drafts before showing it to anyone, and probably another two or three before submitting it anywhere. And there’s also a chance that if you keep trying to come up with reasons to do another draft, you’ll keep finding them. I’m sure we all know that certain someone who’s been working on the same manuscript for years and years and years because they’ve always got one or two drafts to put it through. After a while of that, your story stops looking like a coherent tale and a bit more like the Winchester Mystery House. So that’s my piece of advice to you. Ignore the online factoids. Be willing to put in those ten thousand hours. Do the extra drafts and the extra checks. When it comes to writing, be an expert. 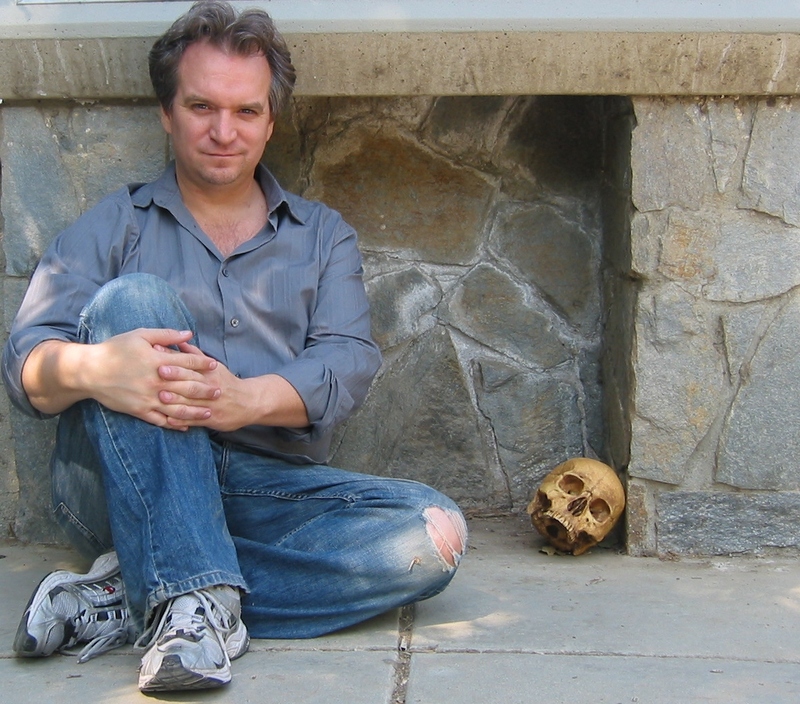 Peter Clines grew up in the Stephen King fallout zone of Maine and—fuelled by a love of comic books, Star Wars, and Saturday morning cartoons—started writing science fiction and fantasy stories at the age of eight with his first “epic novel” Lizard Men from the Center of the Earth. He made his first writing sale at age seventeen to a local newspaper, and his first screenplay got him an open door to pitch story ideas at Star Trek: Deep Space Nine and Voyager. He was the inspiration for both the epic poem Beowulf and the motion picture Raiders of the Lost Ark, and is single-handedly responsible for repelling the Martian Invasion of 1938 that occurred in Grovers Mills, New Jersey. Eleven sonnets he wrote to impress a girl in high school were all later found and attributed to Shakespeare. Clines is the author of several short stories, countless film and screenwriting articles, and the runaway hit 14. He has also written Ex-Heroes, Ex-Patriots, The Junkie Quatrain, the mashup novel The Eerie Adventures of the Lycanthrope Robinson Crusoe, the upcoming books Ex-Communication and Dead Moon, and an as yet-undiscovered Dead Sea scroll. Every Thursday he can be found ranting about writing-related matters on his cleverly-named blog, Writer on Writing. There is compelling evidence that he is, in fact, the Lindbergh baby. This entry was posted in Writing and tagged Ex-Heroes, Peter Clines, Wednesday Writers, writing on September 19, 2012 by David. When I read the blurb for this book and saw it was super heroes vs zombies, I have to admit that I didn’t expect much in terms of quality. I thought I would read the sample chapter and then forget about it. Never have I been happier to be proven wrong. Not only did I buy the full copy and devour it, I have read again since and it is one of my favourite books. Most zombie novels tend to dwell on the aftermath of the zombie apocalypse and with the day to day life of those who survived, but the author cleverly uses flashback chapters to illustrate the extent of upheaval of society, without letting it bog down the main story. It also fleshes out the characters, so instead of two dimensional comic book heroes you get a real sense of personality and of strengths and flaws. While the heroes do echo some of the more famous ones you would have been brought up on they are not just fascimiles slightly modified to avoid copyright infringement. They are cleverly constructed and would be worth a comic book of their own. There is definitely no shortage of action, and not just fights with standard zombies, it is more than just a splatter fest. You really get a sense of their rising despair as the heroes fought to stop the zombie plague and save the world, their regrets at failing, the cost to them as heroes and as people. But, you also will end filled with what super heroes are all about, hope. I will be going into this further in a future post, but there is one speech which really shows that the author understands what a hero is, and what they symbolise. The book features some clever twists in the plot, the origin of the virus for one, and some bits that will make you laugh and some that nearly made me cry. If you love super heroes and zombie novels and well written books…buy this book. I really want to read more set in this world, so hopefully there will be a sequel soon forthcoming. The author, Peter Clines, also has an excellent blog on writing that is well worth checking out. This entry was posted in Geek and tagged Ex-Heroes, Peter Clines, reviews, super heroes, zombies on August 10, 2010 by David.